One of the reason Nasutitermes aren’t higher up the list is because nest identification is often relatively easy with this species. 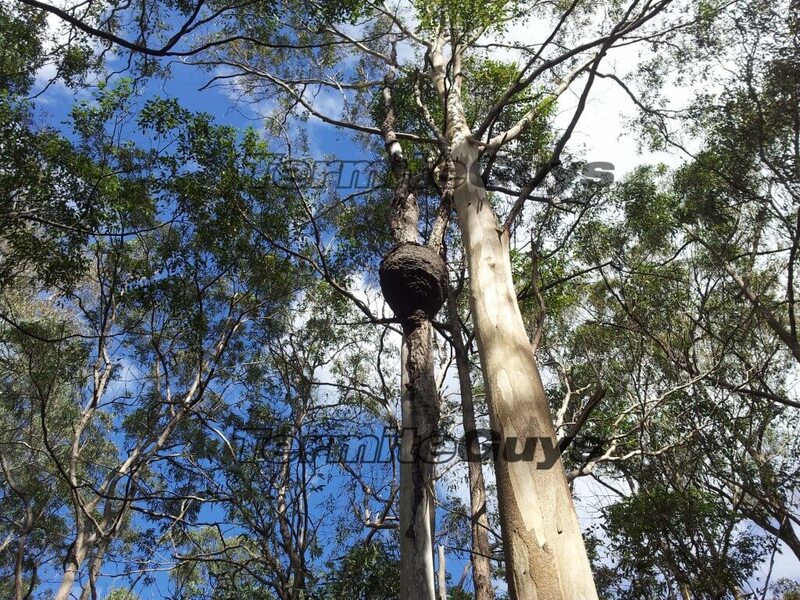 They give themselves away with their spectacular external arboreal (tree) nests. A peculiar trait of this species is the very dark or black colour of their mudding with the big arboreal chamber relatively smooth on the outside. The exterior of the host tree may have thick ropey mud leads on its exterior although there will be internal galleries as well. NASUTITERMES Nest. Need one removed? Call us today. So if they are easy to locate, why do they make the hit list at all? 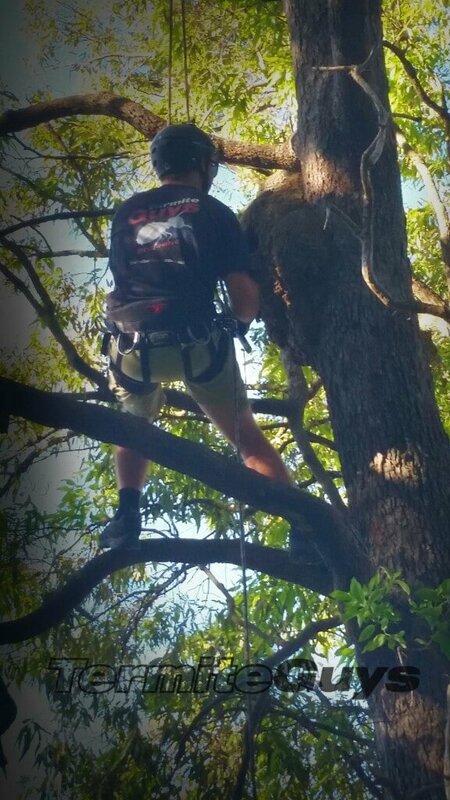 The arboreal nest isn’t always easy to spot or present at all. But this isn’t the main reason. It’s their unusual tastes. Nasutitermes have no time for pine. They only eat hardwood, a complete change of rules! Brick veneer houses (subjected to severe attacks by Coptotermes and Schedorhinotermes) are only vulnerable if they have hardwood framing. More common targets are cavity brick homes and Queenslanders. These guys are real specialists, concentrating on the toughest timbers and leaving the easy stuff for the more wimpy types. An attack by this species can often be identified by the spacious black or very dark mud covering the targeted wood. This mud covering is often only paper thin initially, thickening as the interest levels rise. The soldiers are very distinctive. Their heads are dark brown, almost black and with unique pointed noses (hence the species name). They share a few traits with Coptotermes in that the soldiers are quite aggressive, defending any breaches. They can also produce an exudation or ‘glue’. Apart from that there is very little in common. Attacks from this species are easy to identify by the presence of the spectacular mudding. Severe damage is uncommon as problems are usually identified early. 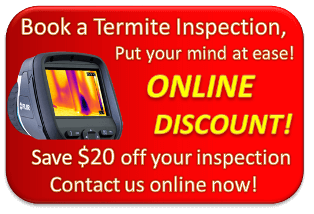 Contact the Termite Guys for advice, inspections or quotes! 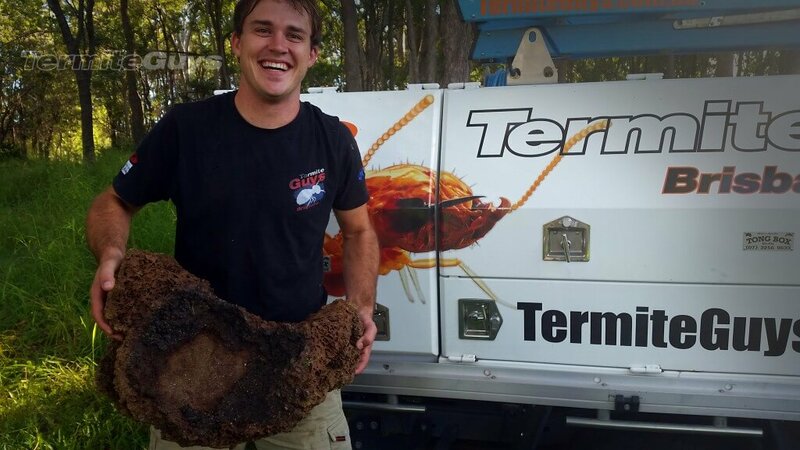 Another Nest removed by the Termite Guys!